Second Cup, despite its Canadian origin (sorry eh) kind of speaks to my soul, the coffee is great and Sade is constantly playing on a constant loop, how could I not fall in love with this place. Despite my innate distaste/annoyance as an American for our neighbors up north, lets cue Rodney King‘s “Cant we all just get along?” speech, well at least for the sake of good coffee and good music). 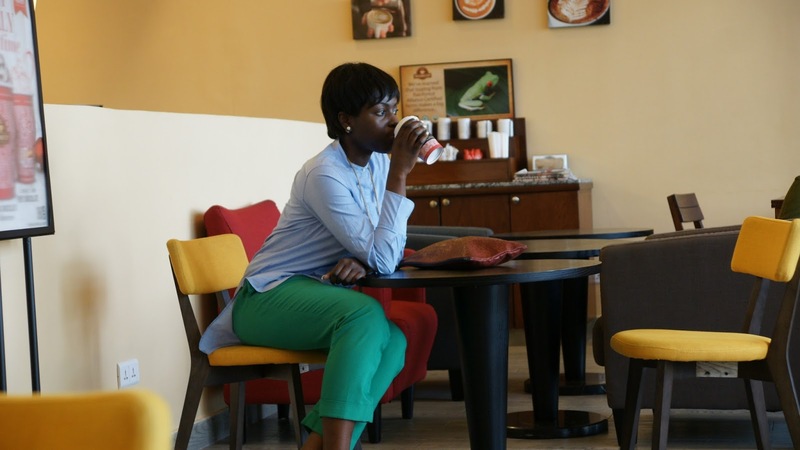 Initially I found it strange that one of my favorite places in Ghana was perhaps one of the least Ghanaian places in Ghana, but immediately after having this thought I had another one. I never considered that I was capable such an ignorant statement, if I pigeonhole Ghana and what qualifies as Ghanaian I am no different than those who place limitations on Africa and those who think we live in huts and in trees and keep lions as pets. This country of mine is growing before my very eyes into a diverse, multicultural gem of sub-Saharan. 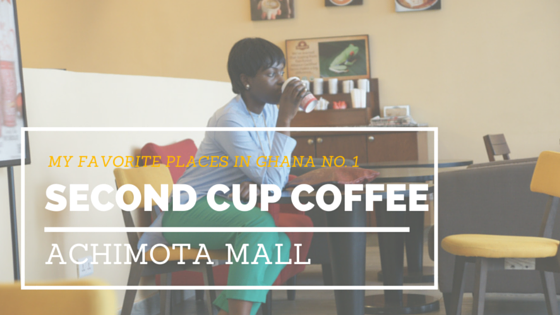 I’m glad this place exists regardless of how anti-Ghana I initially felt it was. Second Cup is where I escape to when I need to reconnect with my creativity and clear my writer’s block or when I want to be in the company if creative, focused people. When at second cup I am always find that I am in good company; for I am amongst those who like me have found a haven amongst the overpriced coffee and the too cold air-condition. 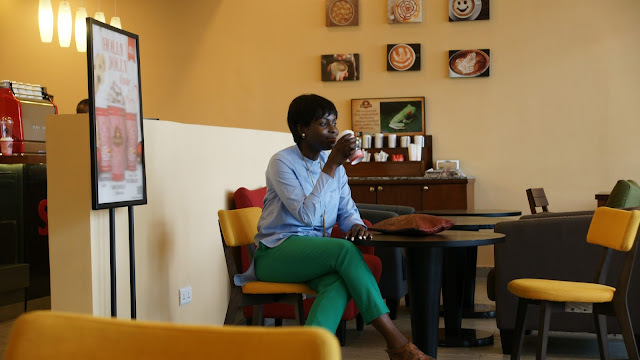 Places Like Second Cup and many of the places I will be featuring in my Favorite Places in Ghana Series will make it that much more difficult for me to leave Ghana and most importantly hope it'll make it that much more difficult for you to resist visiting.